I love seeing porches with rocking chairs and lots of decor, but since my home has a small porch, it’s not large enough for chairs or a lot of stuff. My home is also red brick and all that red plus the dark stained door makes the porch pretty dark. 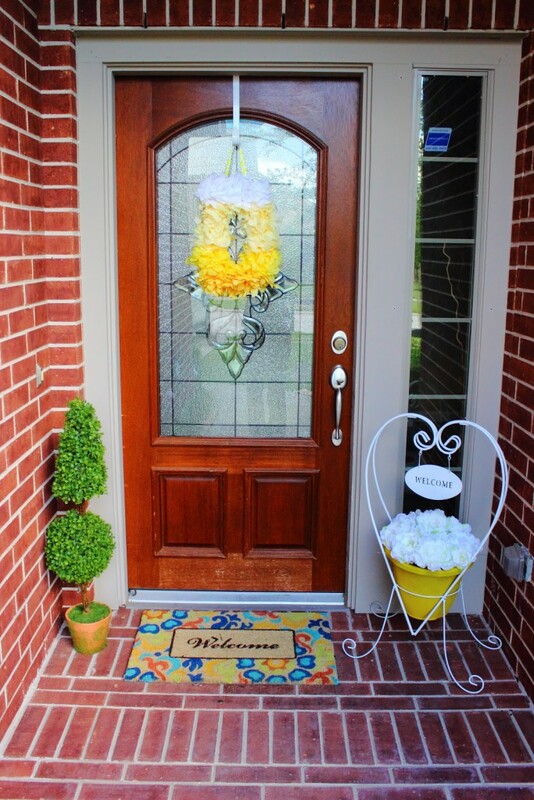 This Spring and Summer I decided to brighten up my porch with a few yellow and white porch DIY decor projects. 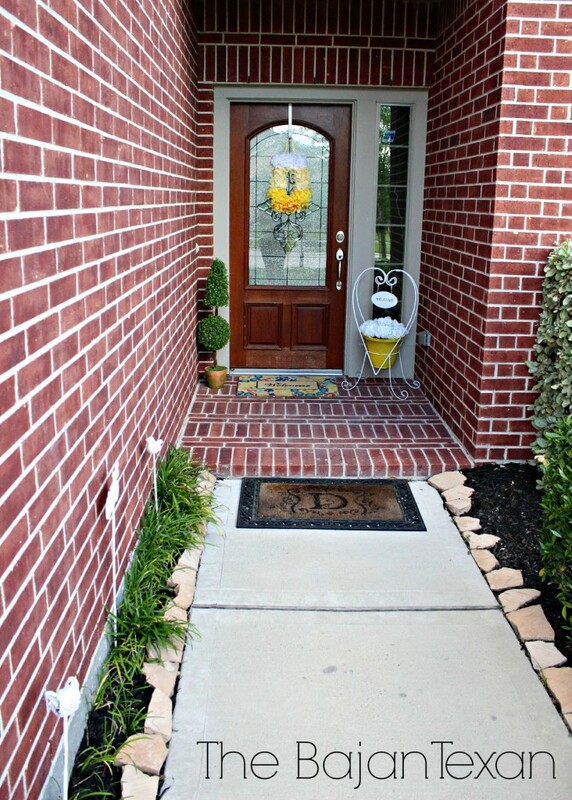 It really made a big difference and now my porch is bright and cheery! 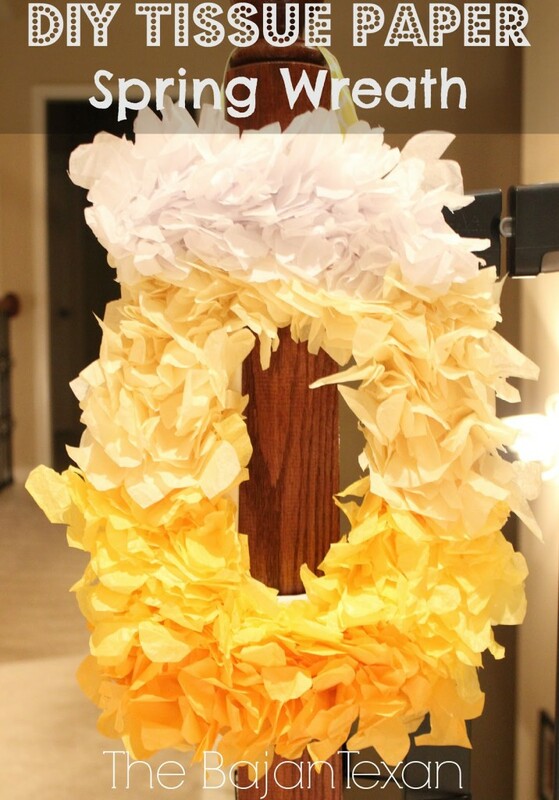 The first project was my yellow ombre wreath made from tissue paper. You can view my tutorial on making your own DIY tissue paper wreath here. I love adding flowers to my porch but if ever there was a person without a green thumb, its me. Every year I buy flowers for my porch and every year they last about 2 weeks before they wilt up and my porch is looking a hot mess. This year I resigned to the fact that fresh flowers are just not my thing and I decided to just buy some pretty real looking fake ones and make an arrangement for my porch lol. Best decision ever! I don’t have to water or care for these bad boys at all. Because I didn’t need dirt for this project, I simply added some bricks/stones etc to the bottom of my pot to weigh it down. Then I cut some oasis floral foam to fit my pot and added it to my pot on top of the bricks and rocks. 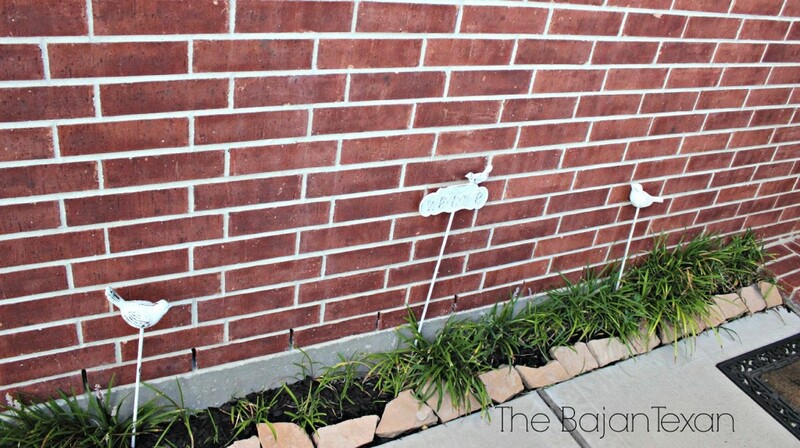 You could also hot glue the foam to the pot for a more permanent fix. Then I simply added my beautiful white flowers and there you have it. I have been using this black welcome planter sign for years now, but I realized that it was just adding to the dark feeling on my porch. So I grabbed a can of white spray paint and spray painted the planter stand. 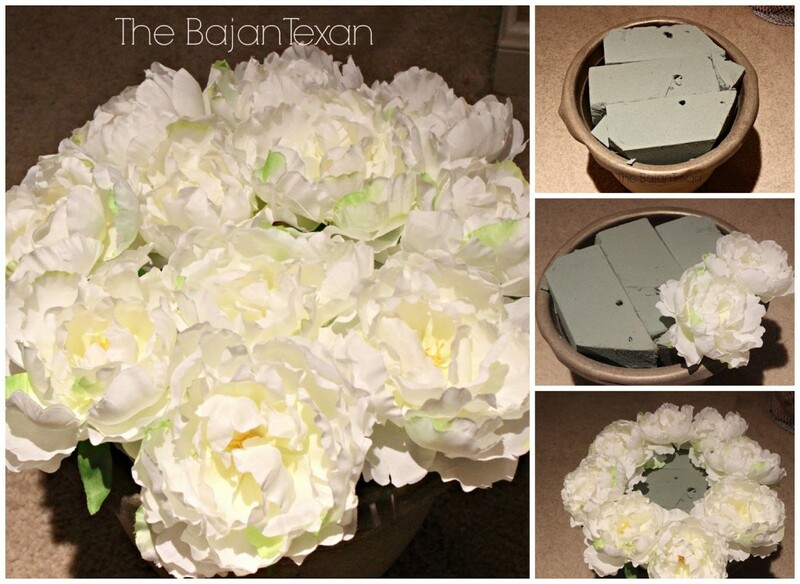 I also spray painted the plant pot a bright yellow and it really made the white flowers pop. 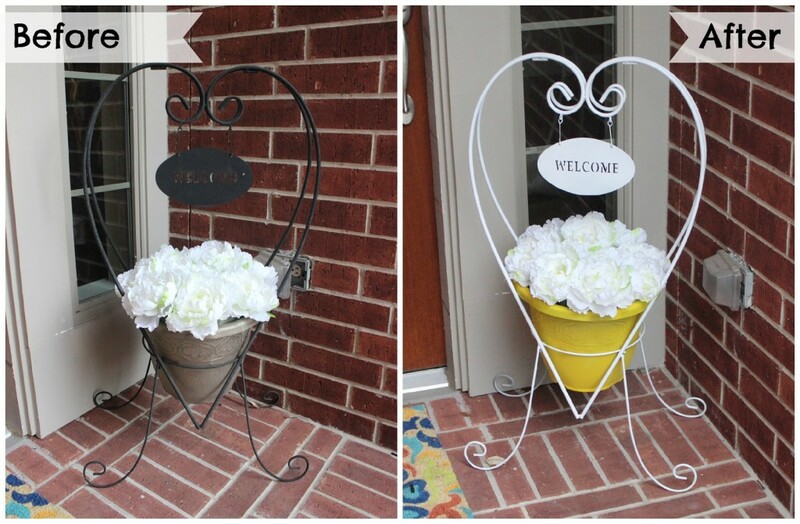 I found these cute little birds and bird welcome sign on sale at hobby lobby for less than $10 for all three. With the addition of a green tree and a colorful rug, I am really loving my new cheery porch. 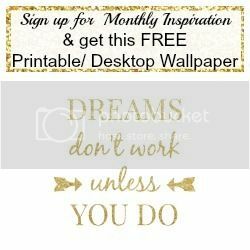 I would love to hear about how you decorate your own porch DIY decor ideas!